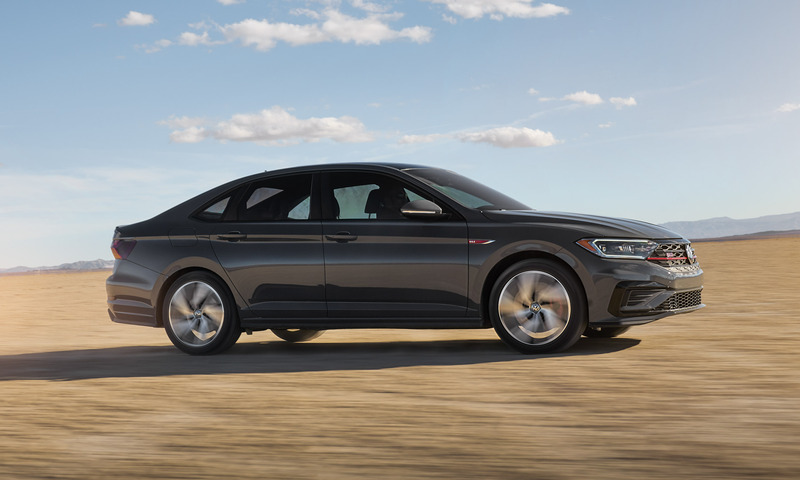 Last year Volkswagen introduced an all-new Jetta that offers more space, better driving dynamics and an overall design that gives the popular sedan a more upscale appearance. 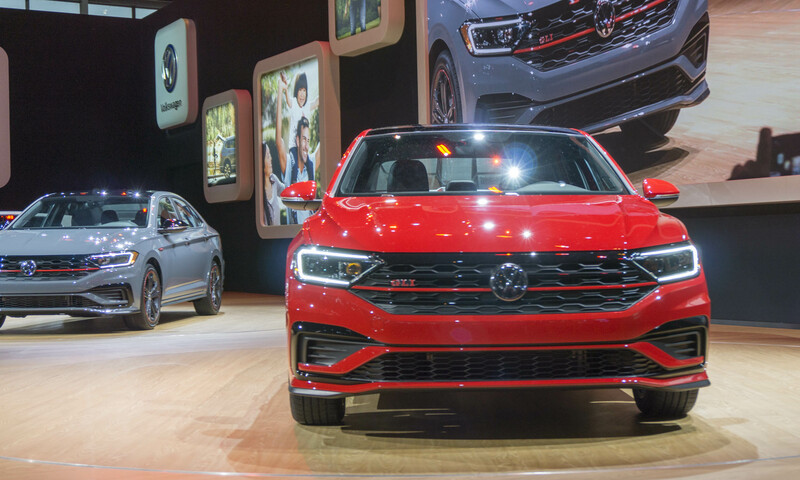 Now the German automaker brings performance into the picture with the introduction of the latest Jetta GLI at the 2019 Chicago Auto Show. 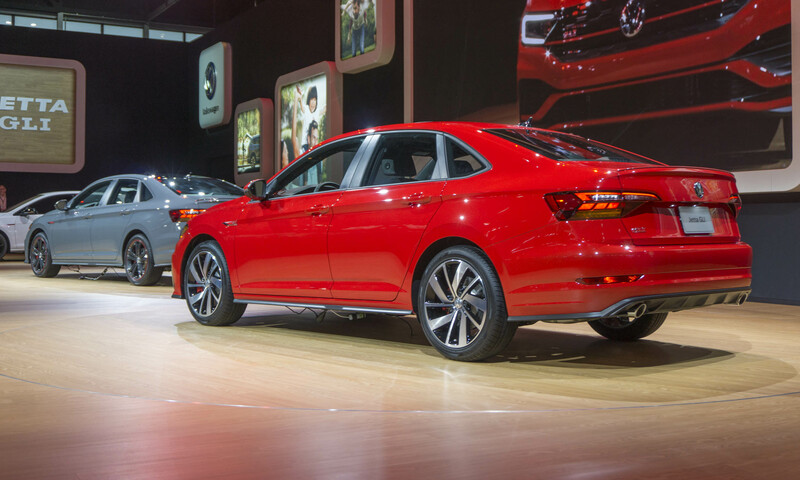 The new Jetta GLI is the sixth generation of this high-performance 4-door sedan for the U.S. market. 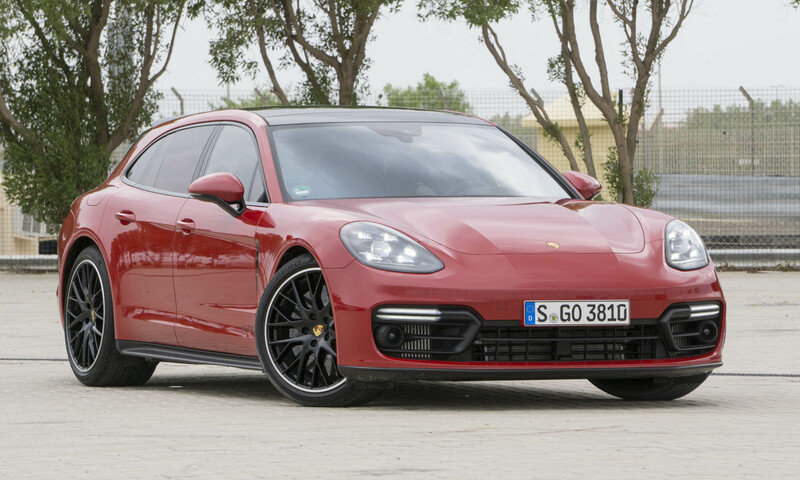 “Volkswagen has long been synonymous with small, sporty cars,” said Scott Keogh, CEO of Volkswagen Group of America. 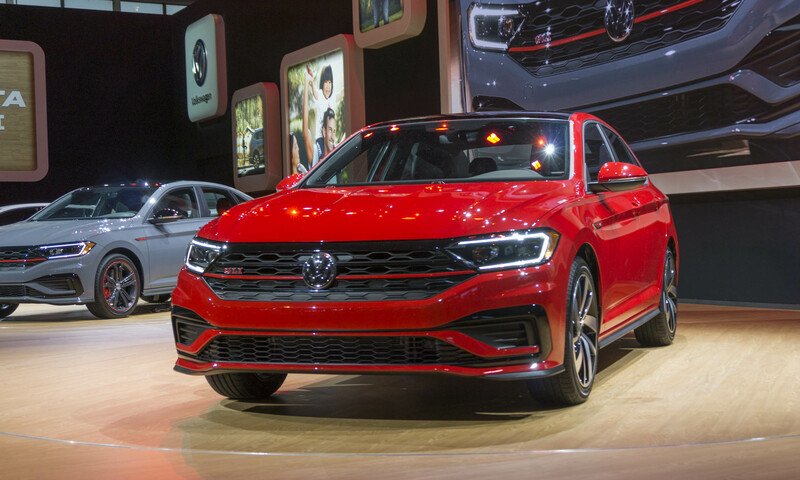 “The redesigned 2019 Jetta proved once more that its combination of design, technology and value continues to resonate with buyers. 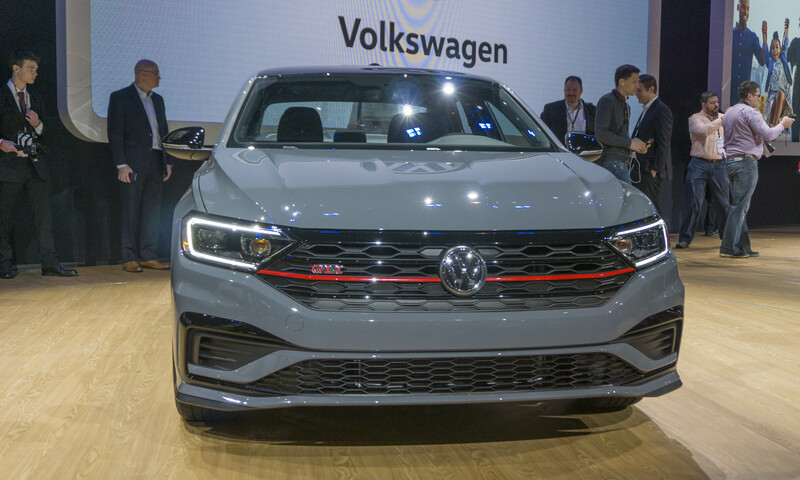 The 2019 GLI takes the Jetta foundation and adds performance features from the Golf GTI to give buyers a true sport sedan,” Keogh affirmed. The new GLI certainly looks the part of a sport sedan with a black honeycomb grille, LED projector headlights, red brake calipers, 18-inch alloy wheels and a red accent line that ties in nicely with its GTI cousin. Drivers following behind will know this isn’t a “regular” Jetta when they see dual chrome exhaust tips, LED taillights, a spoiler and a unique rear bumper with a finned diffuser. 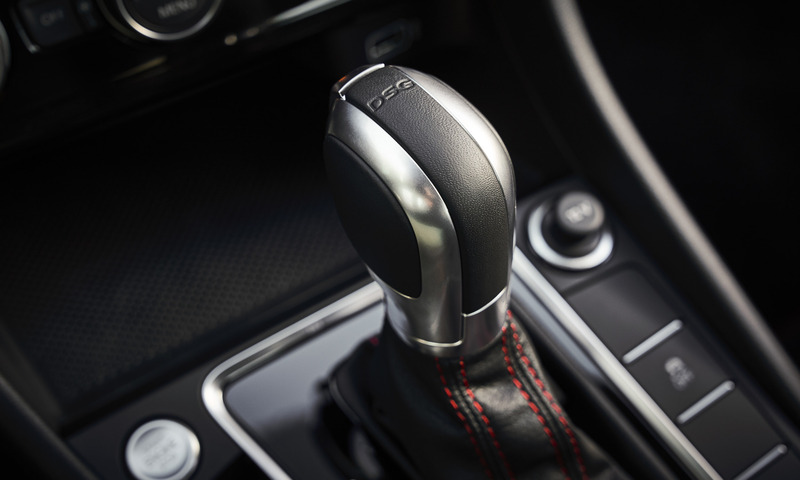 Inside, the Jetta GLI also gets the sport treatment with a black interior highlighted by red accents and red stitching on the steering wheel, shifter and sport seats. 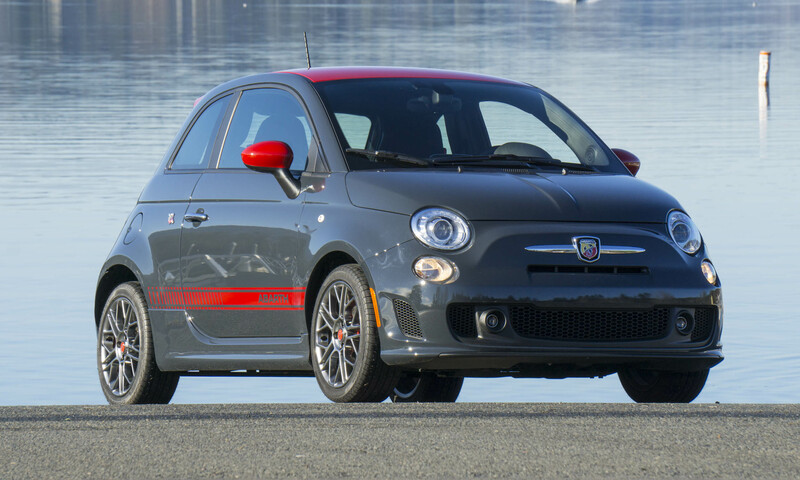 Adding to the racy looks is a diamond flag trim. 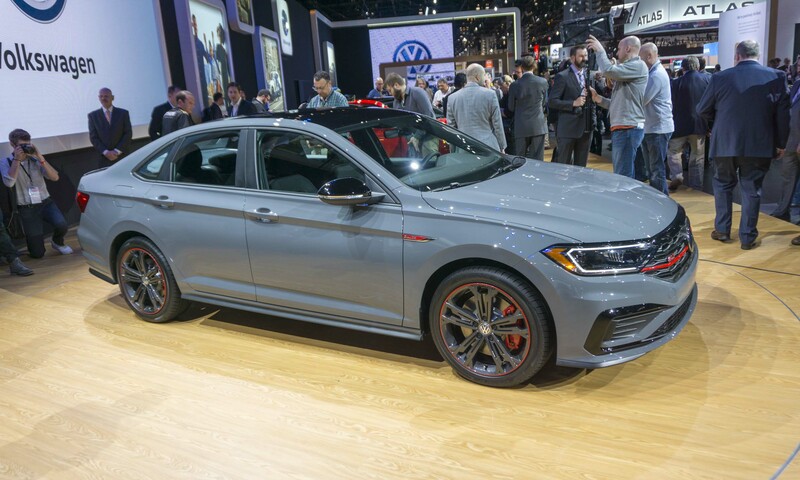 GLI also comes well equipped with heated seats, dual-zone automatic climate control, keyless entry with pushbutton start and rain-sensing wipers, to name a few. 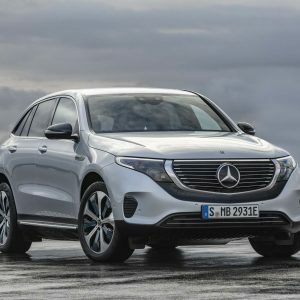 Apple CarPlay and Android Auto are also standard. But the GLI is not simply about looking sporty — it has the powertrain to back up those good lines. 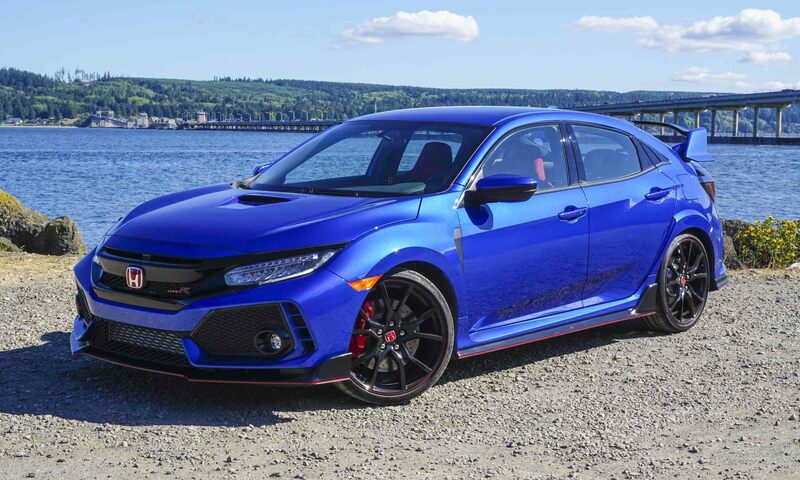 Under the hood resides a 2.0-liter turbocharged 4-cylinder engine that produces 228 horsepower and 258 lb-ft of torque — an 18 additional horses versus the previous version of the Jetta GLI. Power in the new Jetta GLI gets sent to the front wheels via a standard 6-speed manual gearbox. 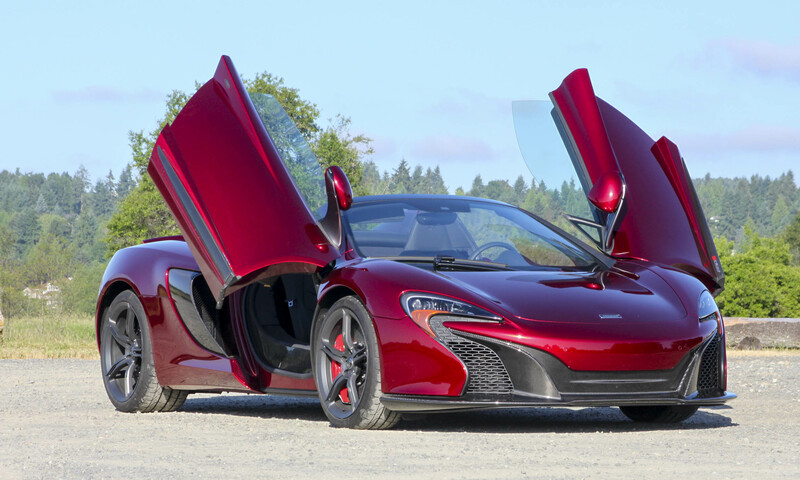 A quick-shifting 7-speed dual-clutch gearbox is also available. 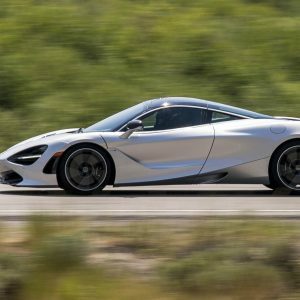 Drivers can select from four different drive modes — Normal, Sport, Eco and Custom — to further enhance or adjust driving dynamics. In addition to the great looks and increased power, the new Jetta GLI has suspension and brake upgrades to match. 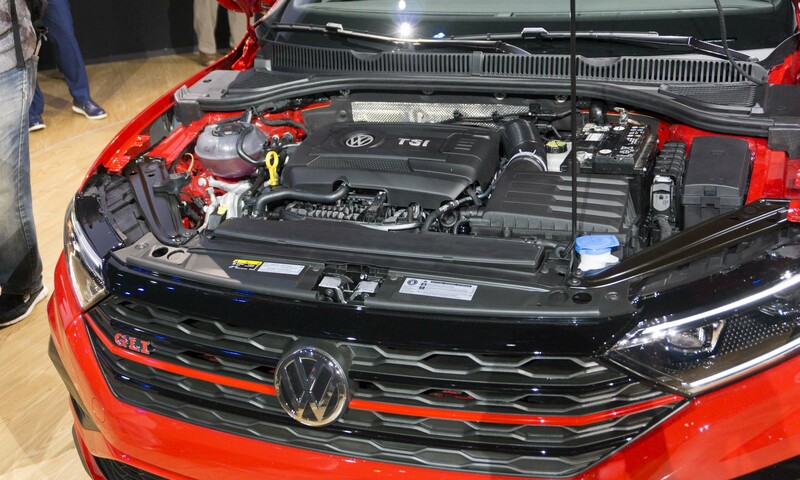 All GLIs come with an independent sport suspension and large vented brakes shared with the Golf GTI and Golf R. Jetta GLI also gets VW’s electronically-controlled, torque-sensing limited-slip differential designed to help eliminate understeer, which can be a problem in a powerful front-wheel-drive vehicle. 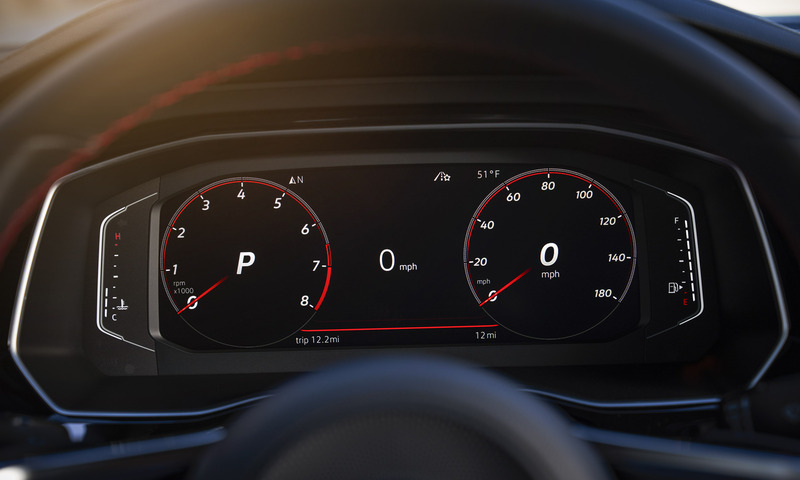 The new Jetta GLI comes well equipped with advanced safety tech that includes forward collision warning with automatic emergency braking, a blind-spot monitor, rear cross-traffic alert and automatic post-collision braking. The Jetta GLI will be available in special 35th Anniversary Edition garb. 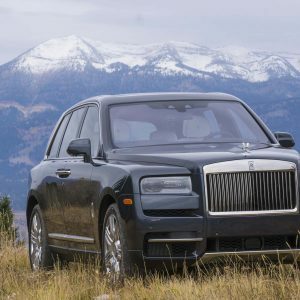 These special versions will stand out thanks to unique black wheels with a red stripe, a black roof, black mirror caps, a black tail spoiler, and 35th-anniversary badging inside and out. 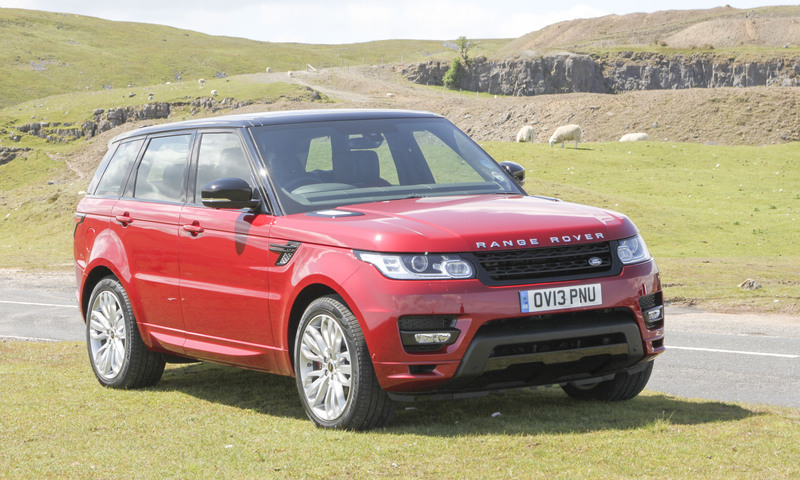 Anniversary Editions also get an adaptive damping system as well as an additional “Comfort” drive mode. The new Jetta GLI will be available in two regular trims as well as the special 35th Anniversary Edition when it begins arriving in showrooms this spring.